The FAA recently approved using electronic devices throughout your entire flight. No more of this putting your iPad away, turning off your phone, or listening to music while concealing the cords in your hair. So to keep you occupied, Hermès has a new app that is sure to entertain you throughout the duration of your flight. 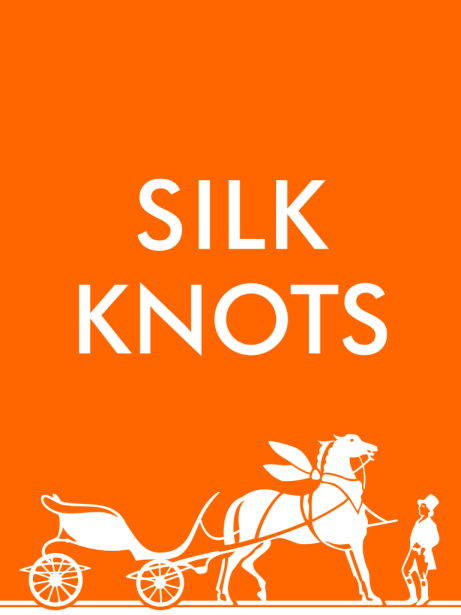 Hermès came out with their Silk Knots app for the iPad and iPhone in 2013. The app is just what the title suggests, it teaches you how to tie Hermès classic silk scarves in various ways. This virtual wonderland gives you four different ways to experience the silk scarves of Hermès. There are several Knotting Films that have a model doing the tying with an additional step by step feature which slows done the film slightly so you can see the exact knots, twists, and turns she makes. 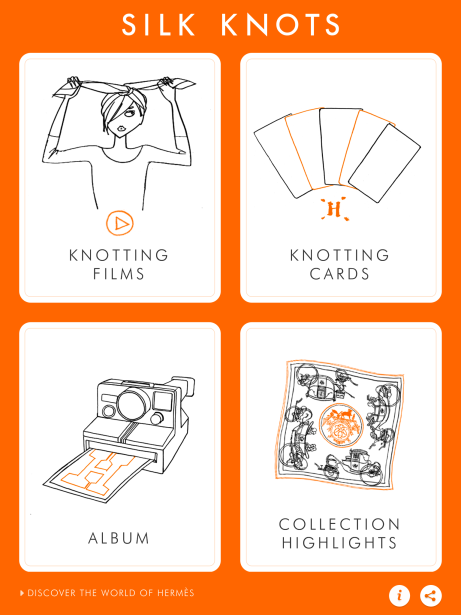 The Knotting Cards provide an additional 20+ ways to tie your silk scarf with an animated cartoon showing you the steps. Again, you receive an overall look and can then see the step by step by clicking on the “How It’s Done” Feature. The Album feature provides stunning visuals from photo shoots with scarves. The pictures are full of motion and amazingly colorful. There is also a video that shows the fun and different ways the scarves can be used. Whether on your head, hat or used as a sling, these scarves are very versatile. There is also a hidden feature where you can unlock Lucky Cards. These surprise cards show a unique feature, collection, or another video of some sort (there’s also a card from Olivia Bee!). The cards come randomly and are collected in your Album’s page. The final journey in the app takes you to the Collection Highlights where you can scroll through and see over 30 different scarves. You can also blow into the microphone of your device to make the scarves look as if they are blowing in the wind. The app also lets you save your favorites so you can refer back to your favorite scarf or look at anytime. You can also share the app, scarves, photos, or videos on Facebook, Twitter, or Email.